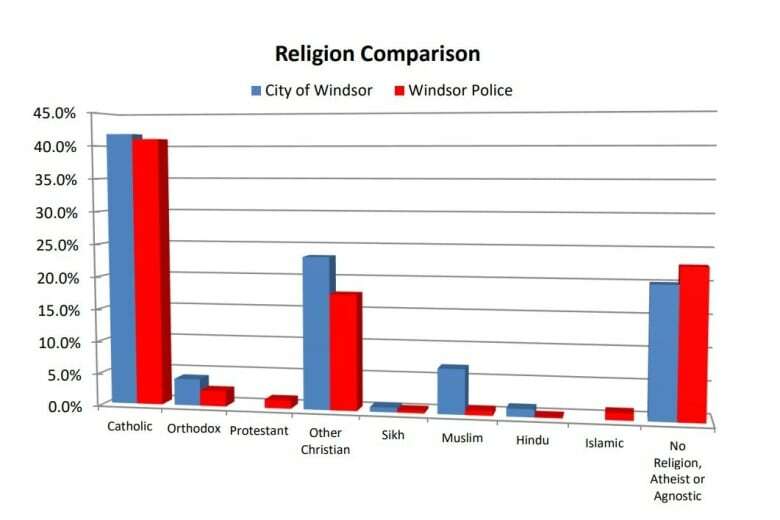 How diverse is Windsor's police service? Here's a look at some results from the 2018 census. 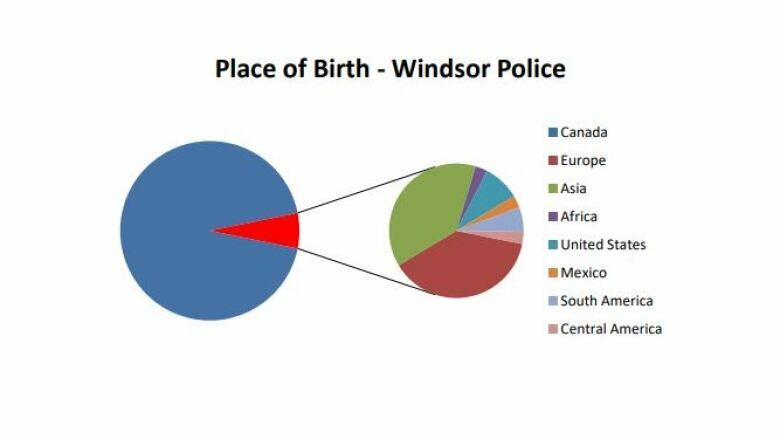 The 2018 Windsor Police Service workplace census shows that 83.7 per cent of its workforce is white. The next most commonly cited background was Arab at 3.3 per cent. 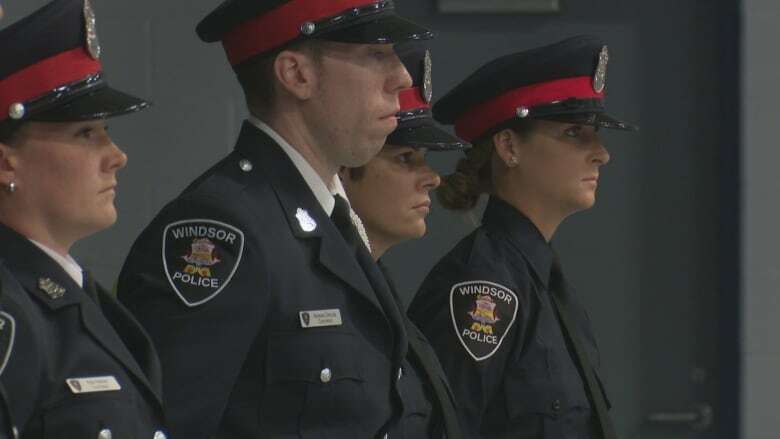 The numbers were revealed at the latest Windsor Police Service board meeting. The last workplace census was conducted in 2012, which was also the first one for the service. The 2018 survey had a high response rate, with 98.8 per cent of all eligible WPS employees returning a census. 66 per cent indicated their gender identity as male, compared to 83.1 per cent in 2012. The top three most-frequently spoken languages aside from English were Arabic, Italian and Spanish. 12.6 per cent of all WPS employees can speak French well enough to carry a conversation — compared to 10 per cent in 2012. There were a total of 17 different religions identified, with Catholic being the majority at 41.1 per cent. A majority of workers are between the age of 35 and 53, at 66.7 per cent. 95.9 per cent identified as heterosexual, compared to 97 per cent in 2012. Frank Providenti, superintendent, said the police are striving to be more representative of the city's population. Part of that involves having diversity officer on staff who meets with community partners and makes trips to schools to do outreach. "We're out there everyday, recruiting, trying to get our numbers up from the areas we're down on," he said. At the board meeting, chief Al Frederick said just over 40 per cent of new recruits in the last seven years came from diverse backgrounds.